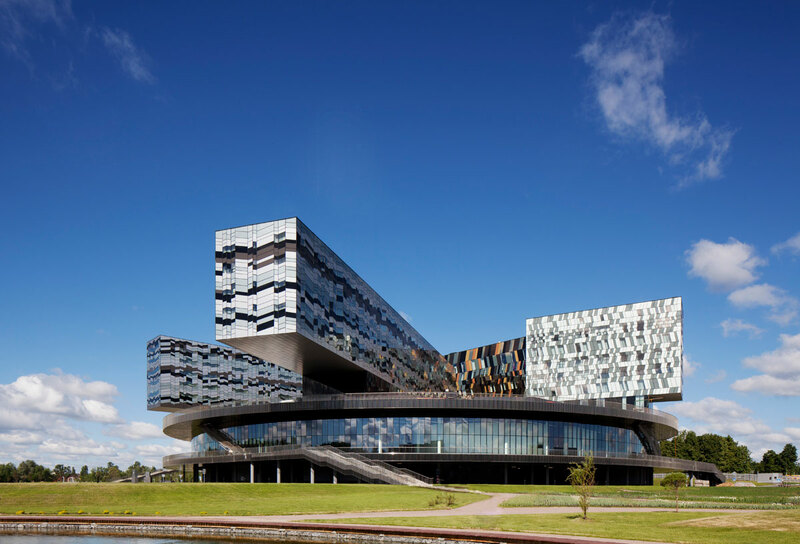 The Skolkovo Moscow School of Management by David Adjaye of Adjaye Associates was inspired by the geometric abstract artworks of Kazimir Malevich. 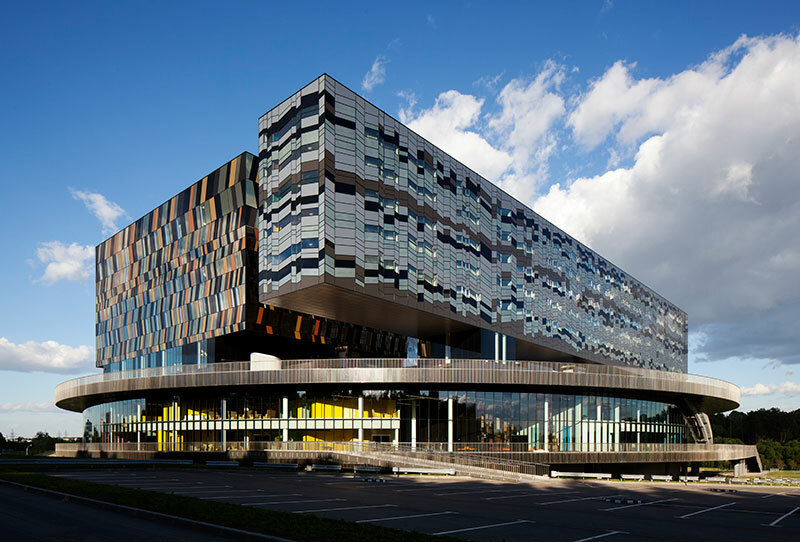 The building’s design was intended to reflect not only the innovation and advancement of Russian business, but culture as well. Constructed in a wooden valley in Moscow, the building is subjected to harsh six-month winters. With such climatory restrictions, the exterior materials have unique weatherability properties. The herringbone patchwork design was created using various colors of Alucobond aluminum composite material. The facility is a single disc shape with protruding parts atop the foundation, offering a unique view of the building at different visual perspectives. The foundation is two stories high and features teaching departments, a conference center and an auditorium. The four-stacked buildings provide internal connectivity to allow easy accessibility without going outside. 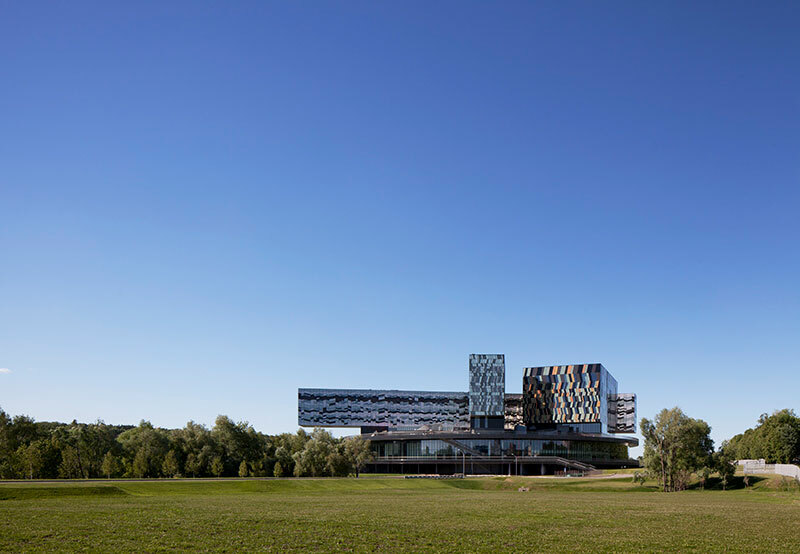 The four structures contain administrative office space, a Wellbeing Center, a five-star hotel and student housing.